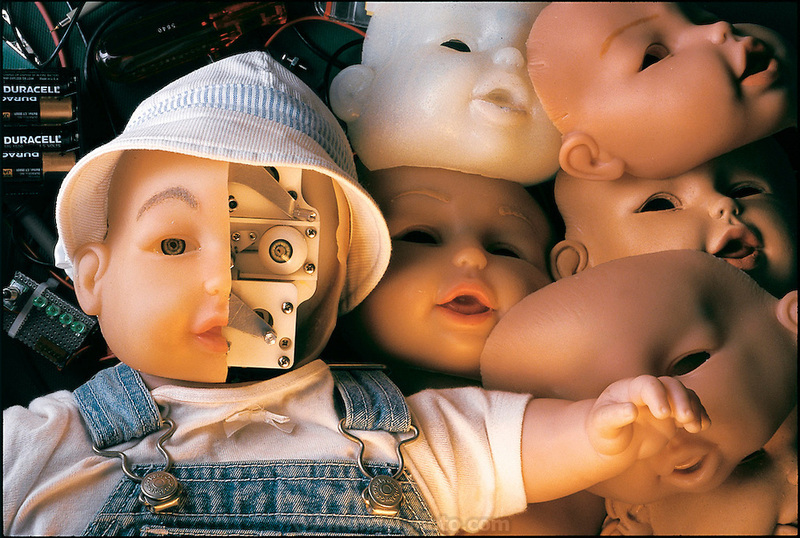 "Baby It" is the prototype for My Real Baby, the most sophisticated robot doll yet made. According to a press release, it is only the "first born" in a series of dolls created from the union of its parent companies, toy giant Hasbro and iRobot, a small Massachusetts robotics firm. Somerville, MA. From the book Robo sapiens: Evolution of a New Species, page 12-13.